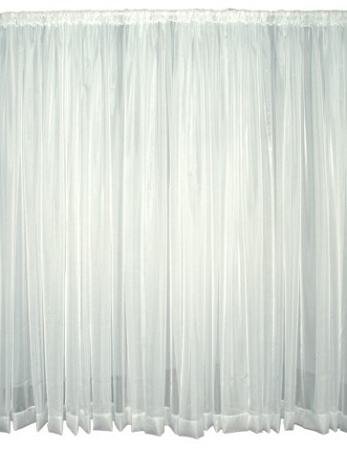 Each drape measures 170 inches tall x 118 inches wide. Material has natural edges that are not serged or hemmed. The drape is sewn 2 inches taller than 14 feet so that a couple of inches pool on the floor when used at a 14 foot height.